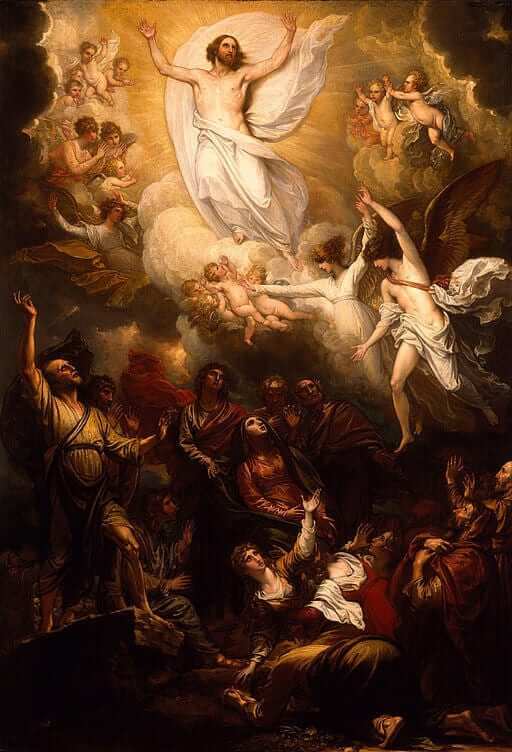 Jesus completes His mission on Earth and ascends into Heaven to take His seat on His glorious throne for all eternity. Or does He? The answer is yes and no. Yes, He does take His seat on His glorious throne, but no, He does not complete His mission on Earth. The Ascension is both the end and the beginning. It’s a transition to the next phase in the perfect plan of the Father. And understanding the way this plan unfolds should leave us in wonder and awe. Sure, the Apostles were probably somewhat frightened and confused. Jesus was with them, then He died, then He rose and appeared various times, and then He ascended to the Father before their eyes. But He also told them that it is good that He goes. In fact, He said that it’s better that He goes. They must have been confused. Jesus also told them His Advocate would come to lead them into all Truth. So the Apostles went from joy, to fear, to relief and more joy, to confusion and sorrow, to curiosity and uncertainty. Sound familiar? Perhaps that’s the way some find their lives to be. Ups and downs, twists and turns, joys and sorrows. Each phase reveals something new, something challenging, something glorious or something sorrowful. The good news is that the Father’s plan is unfolding perfectly. The part of the perfect plan we find ourselves in with this solemnity is the part where Jesus begins to direct His mission of establishing the Kingdom of God from Heaven. His throne is, in a sense, the driver’s seat of our lives. From Heaven, Jesus suddenly begins to descend continuously into our lives fulfilling His mission in and through the Apostles, as well as all of us. The Ascension does not mean Jesus is gone; rather, it means Jesus is now present to each and every person who turns to Him and surrenders their life to His mission. From Heaven, Jesus is able to be present to all. He is able to live in us and invites us to live in Him. It’s the new beginning of the Church. Now all the Apostles need to do is wait for the Holy Spirit to descend. Reflect, today, upon the abiding and intimate presence of our Lord in your life. Know that Jesus invites you to share in His mission. From His glorious throne He wants us to “preach everywhere.” He wants to invite each one of us to do our part. The part of the Father’s plan entrusted to each one of us is not entrusted to another. We all have a share in that plan. What is your part? How does Jesus direct His mission through you? Ponder this question today and know that He accompanies you as you say “Yes” to your part in the glorious unfolding of His perfect plan. Lord, I do find that my life is filled with many ups, downs, twists and turns. There are joys and sorrows, moments of confusion and clarity. In all things help me to continually say “Yes” to Your plan. Jesus, I trust in You. John’s Gospel, Chapter 17, is referred to as Jesus’ High Priestly prayer. It’s a long and beautiful prayer that would be worth reading in its entirety for reflection. Jesus begins by speaking to the Father that “the hour has come.” His hour of suffering and death is upon Him. But He sees it as an opportunity for His glorification. This is an important revelation within John’s Gospel and especially within this prayer. The Cross is horrible from a human perspective alone. But from the divine perspective or the will of the Father and the salvation of the world, it is glorious and the moment in which Jesus takes up His throne of the Cross. It is glorious because He perfectly fulfills the will of the Father through His freely embraced suffering. 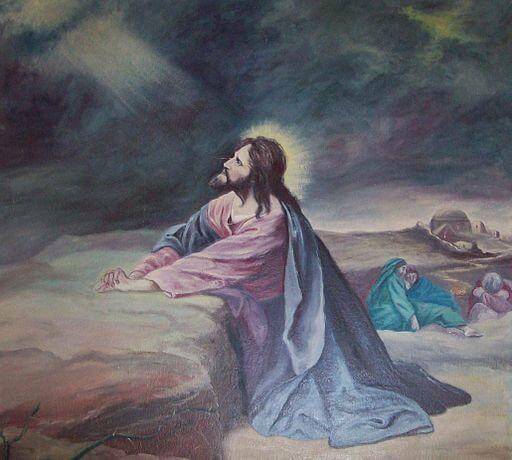 From there, Jesus prays for the Apostles in particular. He prays for their mission so that they will have the grace they need to also embrace the will of the Father and continue the work of Jesus. He knows that it is only by embracing their crosses, in accord with the will of the Father, that they will be able to be glorified. Lastly, Jesus prays for those who would come to faith through the ministry of the Apostles. In particular, He prays for their unity. The unity Jesus is speaking of is a oneness that comes as a result of being united with the Father in Heaven. It is this oneness that leads to glorification for all. And, once again, this oneness is achieved only by being in full union with the will of the Father. Father in Heaven, I choose to embrace Your perfect and holy will in all things. I accept from You the invitation to embrace my crosses in life and to enter into the hour to which You have called me. May I find true glory in this hour and may my life always give glory to You. Jesus, I trust in You.